Liz Mitchell (Elizabeth Rebecca Mitchell) or simply the most famous member of 1970 disco band Boney M. She is a British singer, who was born in Clarendon Parish in Jamaica on 12 July 1952. In 1963 when Liz was 11 she moved to London together with her family. She later on moved to Berlin to perform with the German cast of Hair. After that she joined Les Humphries Singers, where she performed for several years. Liz Mitchell received a call from Katja Wolff agency. With Mitchell, Barrett and their legendary “Baby Do You Wanna Bump” the band quickly became very popular. Liz was known as the lead singer of Boney M and Bobby Farian once said that “All members could be replaced, except Liz”. 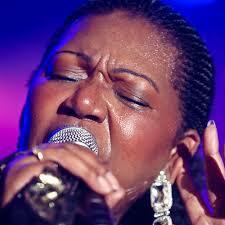 Liz Mitchell is also known as co-composer of Boney M song “African Moon”, part of Boonoonoonoos (1981) album. Her vocals are easily recognised, as the best part of Boney M songs. Sadly the band split up in 1986, however a year later Bobby Farrell managed to convince Liz Mitchell, Maizie Williams and new member hired instead of Marcia Barrett to regroup again for a tour. However due to some last minute emergencies, the replacement singer was unable to perform and the band had to recruit new members, Celena Duncan and Curt Dee Daran. 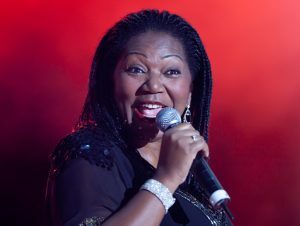 Liz Mitchell focused on releasing her own album, called No One Will Force You, which was released in Spain in 1988, singles “Mandela” (a re-work of Boney M.’s 1979 hit “El Lute”) and “Niños De La Playa” (Children of the Beach) being the most popular. With the help of her husband Thomas Pemberton she built the Dove House Studios and in 1999 she released an album Share the World. 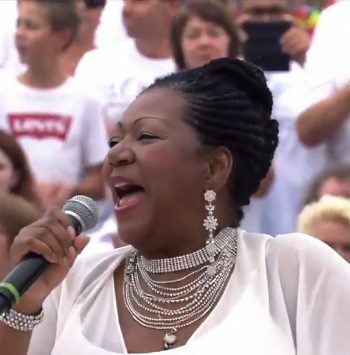 In 2004 “Liz Mitchell Sings the Hits of Boney M” was released in Prague, backed by a Czech symphony orchestra. At present Liz Mitchell is performing as Boney M. feat Liz Mitchell. Elizabeth Rebecca Mitchell, born on 12 July 1952 in Jamaican Clarendon, became extremely popular as a lead singer of a German disco band Boney M. Liz Mitchell is not forgotten today either, she is even more popular with her stage disco show Boney M feat Liz Mitchell. The band is in high demand with music projects and private party planners. Regular “Liz Mitchell feat Boney M” bookings are a proof of real audience love of Liz’s incredible personality and her phenomenal talent. 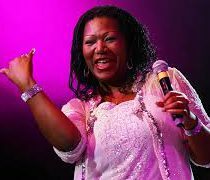 We would like to shed some light on the discography as well as some personal facts of Liz Mitchell feat Boney M.
At the age of eleven Liz Mitchell moved to London with her family. At the end of 60′ Liz Mitchell took part in a casting for Hair and was successful, she later on moved to Germany to perform with the cast. Liz Mitchel is know for her charm, incredible voice and great charisma. Her career took off really fast and after performing in Hair, she took part in multiple music projects. She was craving for more and not being able to find her career path in Germany, she came back to the UK.